October 29, 2018 — St. Louis, MO — BHS, Inc., a leading provider of material handling solutions, is bringing its experience with forklifts from the battery room to the dock. The Midwestern manufacturer has recently begun offering two ready-to-use ramps, designed for extra dock-to-ground and ground-to-trailer access for lift trucks and personnel alike. The BHS collection of dock equipment currently includes a Dock Ramp (DR) and a Yard Ramp (YR), each designed to integrate seamlessly into existing infrastructure. The DR-model ramp creates a shallow slope from the ground to the dock, with 30-feet of textured, high-curbed steel. Optional hand rails support personnel, while the 84-inch width provides plenty of space for most lift truck traffic. 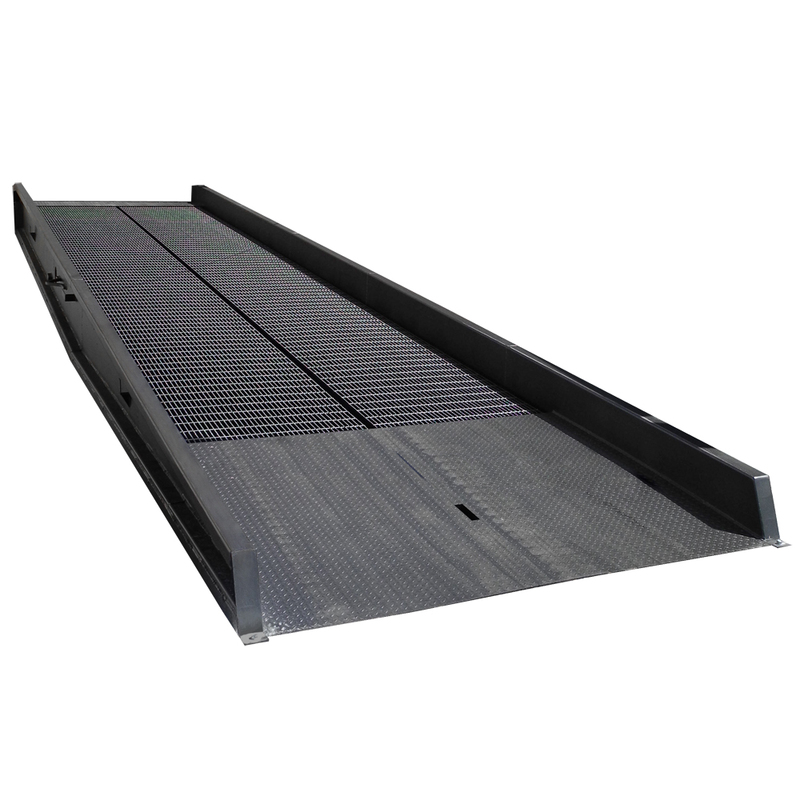 Yard Ramps feature the same heavy-duty steel construction as the DR-model ramps, but with a set of features designed to move loads from ground level into trailers. With the ramp in place, users operate a hydraulic hand pump to reach the trailer’s edge. Safety chains keep the ramp solidly in place as traffic moves over it. BHS, Inc. will expand its line of Dock Equipment as they identify the industry’s needs, Bowen said.